You’ve probably heard a lot about the wealth of opportunities to work from home and make money by doing gigs or freelance projects. There are more options out there than we can possibly list here, but they include things like driving for Uber, working as a virtual assistant, or taking freelancing jobs doing graphic design, web development, or just about anything else you can think of. But to survive, and thrive, in this type of work is sometimes easier said than done. At some point, you’ve surely heard the old adage, “don’t put all your eggs in one basket.” Working as a freelancer, this phrase takes on a whole new meaning. With any freelance or gig-based job, you’re likely to find an ebb and flow to the amount of work available at any given time. Some weeks there may be more jobs available than the workforce can reasonably handle, but equally, there are likely to be times when work is more scarce. Sometimes you might even find yourself wondering if the jobs are drying up permanently. As a personal shopper, you might find a lot of work during the holiday season, but it’s likely to taper off significantly come January. Likewise, if you’re helping people with their bookkeeping, the weeks leading up to tax day are likely to be much more busy than the rest of the year. And of course, your bills will continue to come in, even if the jobs don’t. Because of this natural cycle, it’s a good idea to spread your work around. Make sure you aren’t too reliant on one particular gig site for all of your work, because if they change their terms or fall out of fashion, you could find yourself jobless. If possible, you should build your profiles on a variety of sites, and include work from more than one skill set if you can. This way, when one revenue source is slow, you can look to another to maintain your income. Need some ideas? Check out our post on Ways to Make Money. Nothing can mess up your work/life balance quite like working from home. When you don’t physically “get away” from your office, it’s easy to begin to feel like you are at work 24/7. Of course, this is not a healthy way to live, especially long term. It can lead to increased job stress, insomnia, and a host of other problems that you would be best to simply avoid. But how do you get away from the office when you live there? Of course, the easiest option is to set up a home office in an otherwise seldom-used room. Maybe it’s time to convert that spare bedroom? The added benefit for this option is that if the space is truly only used for work, you can use it to gain extra deductions on your income tax. But not everyone has an extra, empty room to make use of. Another option is to make your workspace something you can “close up” at the end of the day. For some, this can be as small as closing your laptop and putting it away in a drawer, or something larger like hiding your desk behind a curtain or screen. Others find it helpful to “get dressed for work” in clothes that are only worn during working hours, and then change out of them when work is done. Even if you’re still sitting in the same room, the change of wardrobe can help your body switch modes more completely. Get creative with this, but make sure you find a way to mark the difference between “work” and “home”, even if in reality they are the same place. 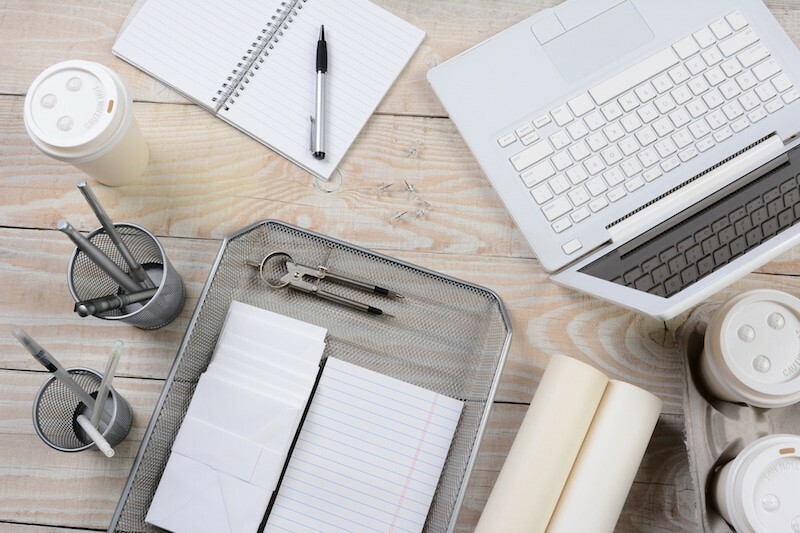 Just like it’s important to separate your work space from your home space (however abstractly), it’s also vital to separate work time from personal time. Many freelancers and telecommuters have fallen into the trap of allowing personal stuff to intrude on their work and vice versa. This is an easy trap because often when friends, neighbors, and relatives find out you’re at home all day, they think it’s okay to call or stop by, even though you’re working. Make sure you set boundaries to keep personal phone calls, emails, and even Facebook browsing from eating up all of your work time. You don’t have to work a traditional 9 to 5, but for the time that you are “on the clock” so to speak, make sure you’re focused on work-related concerns, and ignoring or blocking out distractions that may derail you. Likewise, it’s easy as a freelancer to let work take over your life. You’ll need to be a bit flexible in order to meet client needs, but that doesn’t mean you have to make yourself available to them 24/7. If you’ve made plans with friends, feel free to let that call go to voicemail. You can answer it at a later time when you can give the client and their project your full attention. Benjamin Franklin famously said “in this world nothing can be said to be certain, except death and taxes.” This phrase is just as true now as it was then, but the complexity of these certainties have only grown. Most of us are used to taxes being withheld from our paychecks by our employer. It’s a simple system: they take a certain percentage out each time you’re paid, and at the end of the year you file your tax returns and settle up for the difference. Most often, come April 15th, you’ll end up getting a bit of your withheld money back, or at the very least, you’ll have already paid most of your annual income tax bill. This is not so with freelancing. If you’re a freelancer, or an independent contractor, or any number of other titles that basically mean you’re not an employee, you are responsible for paying your taxes without the benefit of withholding. Not only that, you’re classified as “self-employed” which can have some fairly broad effects on your tax returns. It’s best to use a tax service like Turbotax or find a CPA to help you navigate these complicated waters so that you won’t find yourself in a bind come April, and services like Quickbooks Self-Employed can help you keep track of your expenses and profit. Make sure to get started on this early on, in order to avoid unpleasant surprises down the road. One problem many work-from-home first-timers run into is an increasing feeling of isolation. You’ll need to find ways to connect with others outside of the normal water cooler or break room chitchat. For some, taking your laptop to your local coffeehouse a few hours a week can make all the difference. Others find networking with other freelancers via online chat, social media, or forums to be helpful. Getting out of the house on a regular basis can help you feel more balanced and better connected to the world around you. Schedule lunch with friends, spend your lunch break at your favorite local eatery, or take a class at your local community college. Whatever you do, don’t wall yourself into a life with no interaction. Human beings are social animals and we are only at our best when we interact with others regularly. Something you’re almost certain to run into time and time again as a freelancer is people asking you to work for free. Variations include the ubiquitous “for exposure” or offering pay based on the performance of your work after the fact. I’ve even run into those who ask you to do “the first one free” with a very vague promise of possible future work. Don’t fall for it! On the surface, these offers can seem appealing, especially when you’re first starting out. If you accept this kind of work, in effect, you’re undervaluing your time and your brand. It’s important to stand your ground and remember that your time and your work is worthwhile. If it wasn’t, they’d just do it themselves. Similarly, if you don’t require payment up front for your work, make sure to get credit references to make sure the client who is hiring you is not likely to leave you high and dry once the product has been delivered. In a normal office job, you’d have access to benefits like paid vacation time, and possibly company picnics or holiday parties. As a freelancer, it’s easy to forget that we all need a break now and then. Many fall into the trap of never taking time off because time away from your work is time for which you’re not being paid. Others will go on vacation, but drag their work along with them. Spending time on the beach staring at your laptop or working from your hotel in some exotic location is not really getting away. You may find it useful to “pay yourself” vacation hours by putting away a little money each week until you have some saved up, and then withdrawing it as if it were your wages for the time you’re away. In advance of your time off, you should make sure you let clients know you will be unavailable and when you will return. Make sure you wrap up all of your projects before you leave. And don’t forget to set a vacation message on your email and work phone number. Then, just walk away. Don’t check email. Don’t check voicemail. Avoid all things work and enjoy some time with your family or on your own. You work hard. You deserve it!